Finally, some sports gear I can get behind! 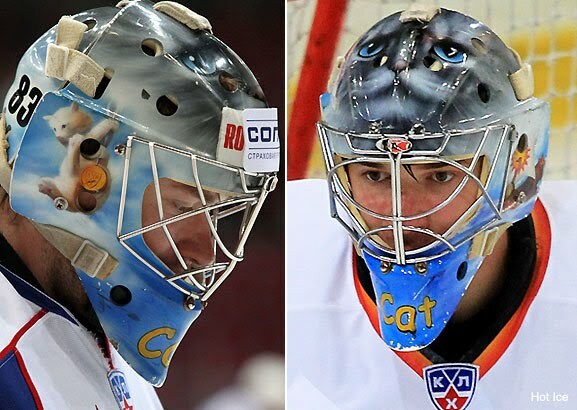 Russian goalie Vasiliy Koshechkin's helmet wins the award for cutest protective headgear of all time with his blue-eyed, cat covered mask. Koshechkin, whose last name means "small cat" in Russian, says the kitty's name is "Cepbin" and "it is very bored from being on the side of his head all the time."